Pop quiz! Whether you’re a fashion word newbie or these are recurring regulars in your repertoire—use these as new ways to describe your new #look or to impress your co-worker with impromptu 8 a.m. style trivia (once you’ve had your coffee—anything goes). What are you waiting for? 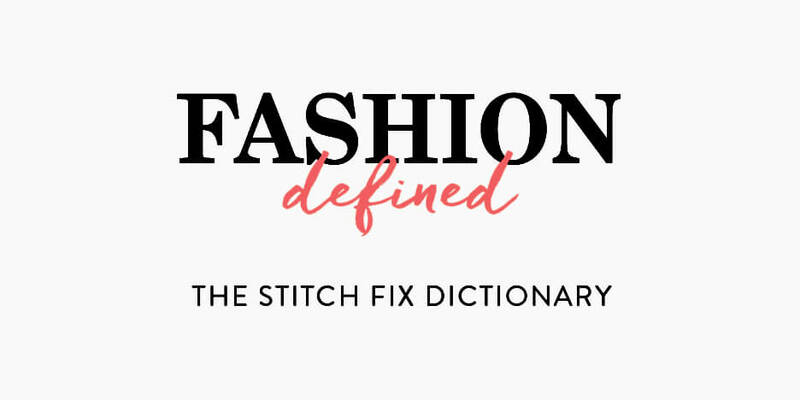 Brush up on your fashion lingo with the Stitch Fix fashion dictionary. Plus, stay tuned—we’ll keep adding to it as soon as new trends hit the racks. An a-line dress is slightly flared from a narrow waist or shoulders. Think: A universally-flattering LBD that can wear to any event. 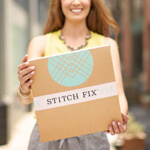 A fit & flare dress is fitted through the bust and waist and flares out at or below the hips. These dresses have a more distinct flare than the A-line. A trapeze dress features side seams that are cut straight, narrow at the chest and widen at the hem. Trapeze dresses are perfect for showing off your legs and disguising your midsection. A close-fitting sheath dress that hugs the body and falls slightly looser at the knees. Not to be confused with the sheath dress. A shift dress is looser and falls from the shoulders around the body. No curve-hugging here! Just like it sounds. A mini-dress will show a lot of leg and hit you around your mid-thigh. A midi dress hits in the middle of your shin and is the literal medium between a mini and a maxi dress. They look super flattering with sneakers or lace-up sandals. A maxi dress is a floor or ankle length dress. They’re usually form fitting at the top and loose flowing at the bottom. Perfect for making a dramatic entrance no matter the occasion. Not for the fashion faint of heart. The body con silhouette is one part sheath and all parts curve-loving. If you want to flaunt what you’ve got—this dress is for you. A shirt dress is just what it sounds like! Imagine your favorite, cozy tee as a dress. Perfect for casual weekend wear paired with sneakers. Culottes are #trending knee-length trousers that have a full leg (think: flare at the knee) and hit mid-shin. After their resurgence in the early 2000s, these tight-fitting skinny jeans hug your curves and fit snugly at the ankle. We all know & love the bootcut jean for it’s slight flare and flattering fit. Bootcut jeans have a straight leg that accommodates the wear of—you guessed it—boots! Flare jeans have a more dramatic flare that begins at the knee. Known for it’s exaggerated leg opening, these are best worn with high wedges or heels. Cropped denim that flares from the knee—usually calf or ankle-length. This trend forward-style is usually accompanied by a frayed or raw-hem. Wide leg jeans are the more broad version of the flare. The leg starts to widen just above the knee and often has a less dramatic flare. These look great with a stacked heel boot or wedges. A woman’s garment that has a relaxed, easy silhouette. Blouses are typically found with a collar, buttons, and sleeves and are versatile for work and weekend. A short flared, gathered, or pleated garment that flares at the waist. Modern peplums can be very structured or quite relaxed. A button down is a dress shirt that features buttons from the collar to the hem. These shirts can have functional and nonfunctional buttons. Inspired by: Ralph Lauren. Defined strictly by the oxford weave— a weaving method wherein two yarns are woven lengthwise against a heavier yarn crosswise. These button down shirts often feature crisp collars.